'It all started with an eighty nine year old professor leaning on his shovel' - Maryanne. Heroes are very personal, when it comes to me. I have heroes, people I would go 'squeeeee' and faint if I met them, but they're not necessarily people I like to talk or write about... I am a little bit funny like that. I think even my husband would struggle to name a person who he considered my 'hero', both in the food world or otherwise, simply because I find it hard to articulate what it is about a person that I like and admire. Its easy enough to spout out names with the hopes that one or two 'click' but this was not what the challenge was all about for me. So, to be honest, I did think about maybe not taking part this time around. What changed my mind was that I had already missed one posting, as things were a bit manic in my world, and I didn't want to miss another one. Plus, as it is, I was already going to be late with this post too. Once I took away the personal aspect of this topic, though, something did strike me. Who were the people, Canadian and otherwise, that I admired most when it comes to food, both the eating of and growing of it? Well, other than my mom and grandfather, who are kind of, not Canadian? Well, those people who grow food. Not specifically farmers, though they are pretty admirable, but all those ordinary people who grow food in their back gardens. Not to blog, tweet or talk about it, but just for the sheer joy of watching things grow and sharing the bounties of harvest. Well, I know people like that. And one of my favourite persons is the lovely Maryanne, who plants her own 'guerilla garden' as she likes to call it. 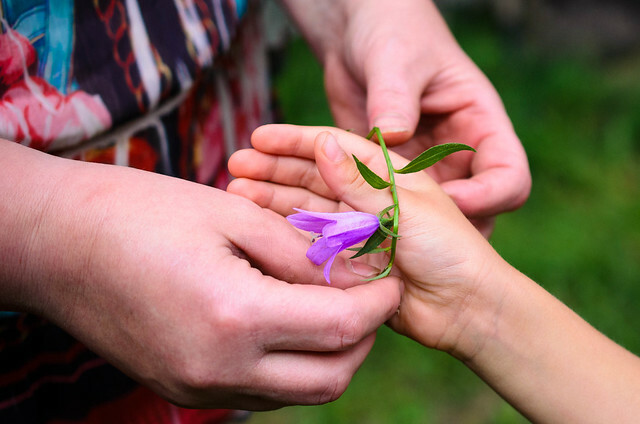 This is community gardening, but not like we know it. This is just gardening, planting food for the fun of it, and for the pleasure that it brings. 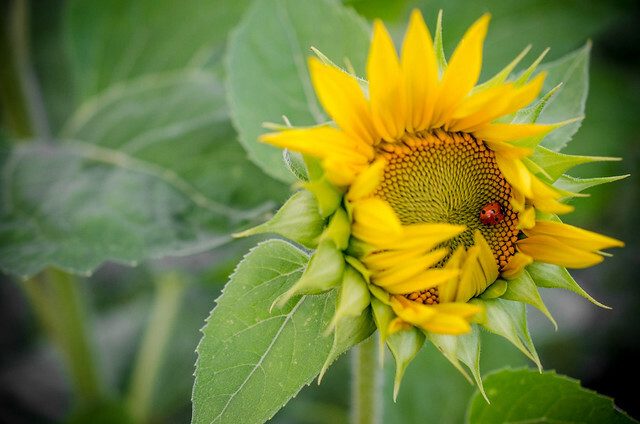 I asked Maryanne how she got started with her 'guerilla garden', and she talked about how she had always wanted a garden while living in a condo. Amidst all this, she said she used to get together with a group, who worked in an set of offices, behind which was a patch of grass and hedges. The professor, in particular, kept mentioning how well tomatoes would do just up there, against the brickwork of the building. But, despite thinking about starting a garden there, she didn't particularly relish beginning the process. And then, fate took a turn, whereby part of the lawn was dug up for replacing pipes. Once that happened, the aforementioned eighty nine year old professor took it upon himself to hurry the process along, digging a giant trench for the tomatoes, and the rest, she says, is history. She recounts a funny story about the first garden year, where they decided to plant potatoes in straw bales... 'mouse heaven' says Maryanne. 'What were we thinking?' she recalls ruefully... thankfully, the lesson was learned, and there were no more mouse condos. I found out about the garden from my husband, Kay, when we first moved to Edmonton and were living in a condo in Garneau. Kay lent a hand in getting the garden in shape one year, and we spent many days and evenings, just hanging about, sitting around a firepit and eating fresh, local produce that was all grown in the garden. It inspired a sense of camaraderie, that did a lot to ease my way into a new city and make new friends. The garden has been going along for a few years now. Maryanne points to a pair of scissors on a small table by the water hose. That pair of scissors is left there, so if anyone stumbles on the garden they are more than welcome to take a piece of it home... fancy some fresh, organic lettuce? Or some beans? Broccoli? Well, its all there to share. 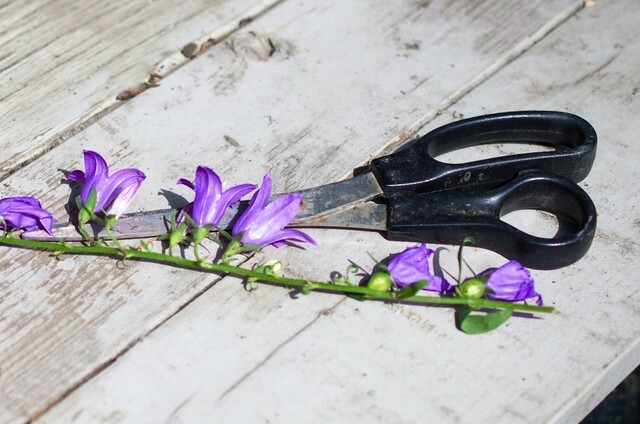 Its part of the magic of guerrilla gardening. Its what makes my food heroes special. I am certainly not a gardener. That would be my husband, Kay, and my little girl Adz. As Adz poetically put it, 'dad is the grower, mum is the cooker'... gotcha in one. So I admire people that garden for the fun of it. They are my heroes. To celebrate home grown produce, I decided to share a simple recipe, but one that completely and utterly depends on the freshest produce. 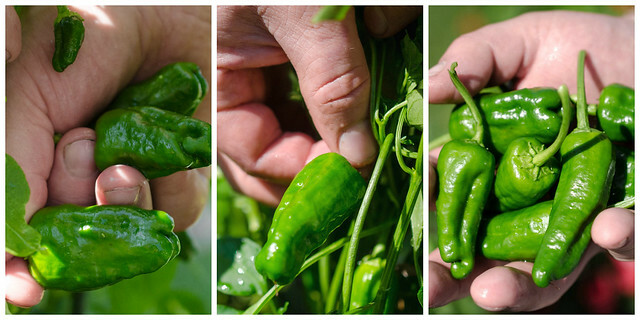 One of Kay's colleagues recently brought back Padrón pepper seeds, and Kay grew them in pots on the deck. We were lucky enough to get a whole bunch of peppers, and as we were told, all we did was douse them in some fresh olive oil, and grill them until the skins blistered. We then ate them, dunked in a titch of crystal, flaked sea salt, and all I can say is, this is what summer is all about. Sweet, salty heat, utterly moreish... so much so that Kay has now been told that there better be a lot more of these delicious little guys grown next summer. Heat a grill or barbeque up to a fairly high temperature. We barbequed these at about 400 F.
Brush the peppers with a little olive oil, then place them in a single layer on the grill. Grill for a couple of minutes, per side, or until the peppers start to blacken and blister. Take off the heat, and sprinkle over flaked sea salt. Totally with you on this one. I've got quite a few food heroes but I don't tend to talk about them because they don't talk much about themselves and that's one of the things I admire. I've met many fine gardeners in my time and almost without fail they've been generous, friendly and inspiring. 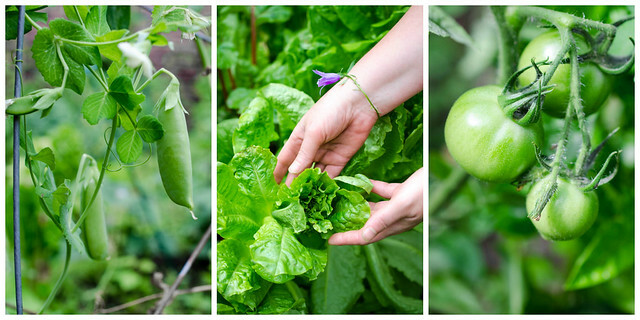 I do try to grow my own food in my little garden even if I do have to neglect it far too often. 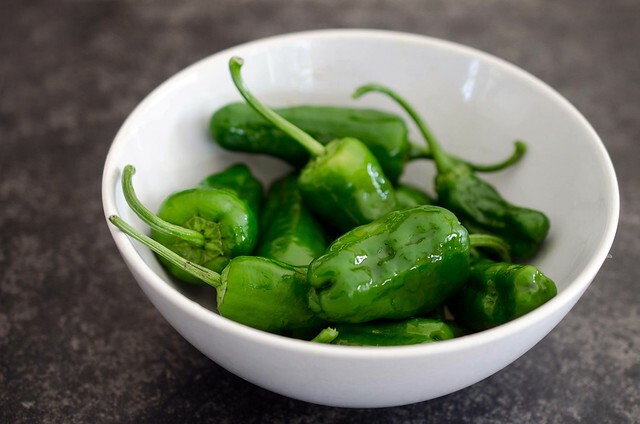 As for Padrón peppers, I love them and the way you've cooked them is just perfect but having eaten a bunch of them on 20 or 30 occasions I confess that I've NEVER had a hot one. I think this might be a conspiracy. Let me start by telling you I love your blog's name :-) First time here and I'm really liking it here. And I love all those garden snaps you've shared. My dad (who's visiting us for a few months) started a small garden in our backyard and its growing like crazy now and I love it and taking snaps of the growing veggies is my hobby these days. 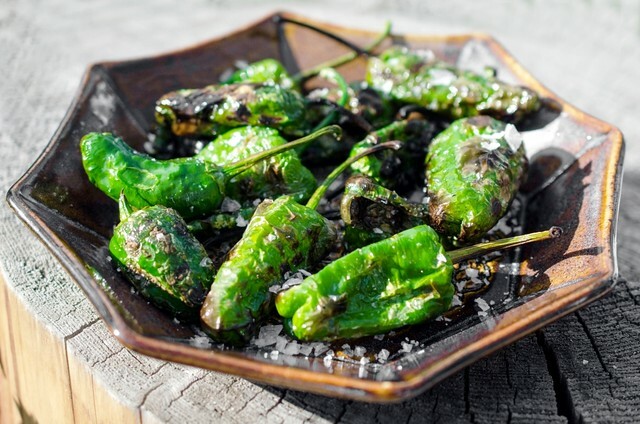 Thanks for this grilled padron peppers recipe. It looks great! Nice photos! Gorgeous photo at the end, too, Michelle! A lot of people found this a difficult topic. Not my intent, of course, but very impressive results - particularly with the strugglers. To me, this is exactly what a food hero is. Urban gardening used to be a way of life when I was a child. Everyone had a garden in their back yard. If you didn't - it was very odd, as it was just part of the way of our life at the time. Now, so few people have a food garden in their yard, it is odd to stumble upon one... and this is a great story of one man making a difference, and your friend helping him do it. The scissors is so Canadian. Help yourself. At least, I think so. And the fact that you are celebrating your husband's triumph of growing a pot of gorgeous peppers this season was the ultimate full circle. I cannot grow any peppers. I have just not succeeded. I appreciate your personal perseverance in sticking with this project. I know it is not easy - but your participation and voice is so important to me, and to the project. And this story would not have been told and it is a story worthy of telling. And your peppers, a triumph worthy of sharing. Bravo! I am sorry to be so late responding to your post. I have also been away, and am behind - yet, completely inspired by this process.